When disaster strikes, the city’s immediate focus is on responding to major public needs such as infrastructure and safety. We have not had a system in place to support the efforts of volunteer organizations which are willing and able to assist individuals, but need help identifying those most vulnerable. With hurricane season days away, we have an opportunity to develop and test a system, while helping our residents recover from this week’s flooding. 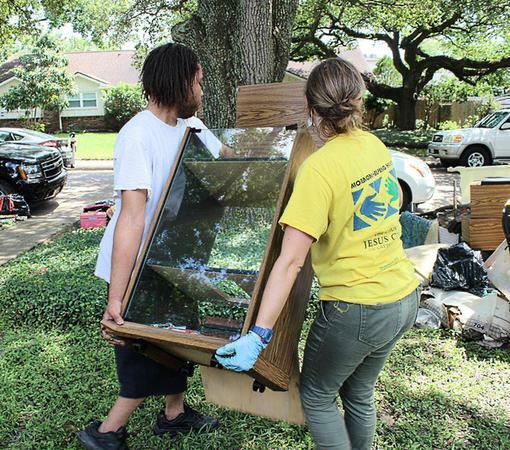 From the calls that were received through the city’s 311 line, Housing and Community Development Department (HCDD) employees and Mormon missionaries were able to canvass Houston neighborhoods to identify flood victims, in particular elderly and disabled, who desperately needed help cleaning up after the disaster. With the ability to speak both English and Spanish, most of the missionaries were able to communicate with most people they met. Fortunately, the flooding was confined to a limited number of residential areas, however, the amount of work involved in restoring homes that were affected was enormous. One of the main concerns was that the flood waters contained such foreign matters as chemicals for industrial facilities, pesticides from lawns, bacteria and mold spores, which meant that everything that was touched by the waters was contaminated. Waterproof gloves and masks were used during the restoration efforts. After contaminated items were removed from the homes, and all floor coverings were removed, concrete floors were then treated with bleach. My neighbor called me at 1:45 a.m. to ask if I had water in my house. I ran out and saw water coming across the carpet. Ten minutes later it was up to my knees. After the flood waters receded, I just sat and looked around for about two hours in a state of shock. Then I got to thinking about all the work there was to be done and all the loss. Anyone who has ever visited a Disney theme-park in the United States or abroad is very familiar with the sing-along song “It’s A Small World.” On 10 April 2014, the “It’s A Small World” attraction which has become “an iconic part of a day at one of Disney’s enclaves”  will celebrate its 50th anniversary in a historic, global sing-along which will include guests and cast members at Disney parks from three continents and four countries. Disney’s US resorts – Disneyland in California and Walt Disney World in Florida – will join forces with Disneyland Paris, plus two of Disney’s parks in the Far East – the Hong Kong Disneyland Resort and Tokyo Disney Resort – for an arms-around-the-globe rendition of the famous song. Included among those joining in the celebration will be the world renowned Mormon Tabernacle Choir. It’s a Small World was created by WED Enterprises as the 1964 New York World’s Fair’s UNICEF pavilion sponsored by Pepsi. It featured a kinetic sculpture, The Tower of the Four Winds, a 120-foot perpetually spinning mobile created by WED designer Rolly Crump, at its entrance. 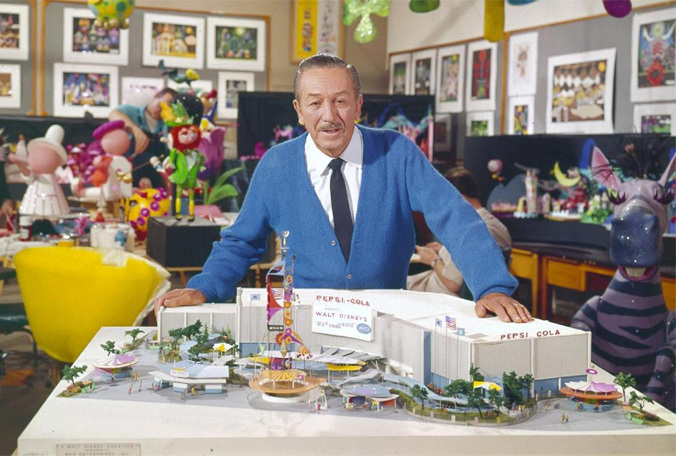 It was one of four attractions (Magic Skyway [Ford], Great Moments with Mr. Lincoln [Illinois], and The Carousel of Progress [GE]) which were used by Disney to test concepts and ride systems, then moved and re-built at Disneyland after the World’s Fair closed in 1966. To help announce the upcoming celebration, Disney Parks released a video with people on six continents, in over 25 countries, singing, dancing, and playing “It’s A Small World.” Included in the video is the Mormon Tabernacle Choir, bagpipers in Scotland, Bollywood movie actors in India, and a firefighter in New York City. The Mormon Tabernacle Choir has a unique connection with the Disney Park attraction. The attraction first opened at the 1964 New York World’s Fair as a tribute to peace and hope. The Mormon Tabernacle Choir which serves as a musical ambassador for The Church of Jesus Christ of Latter-day Saints (inadvertently referred to as the “Mormon” Church by the media and others) was a featured guest at the fair and performed several musical numbers which ultimately led to the recording of the album titled At the Fair. Today the Choir, which is composed of 360 volunteer voices under the direction of Mack Wilberg and associate director Ryan Murphy, is heard worldwide, along with the 150 member Orchestra at Temple Square, via television, radio, satellite transmission, internet broadcasts, tours, and numerous recordings. Fans are encouraged to join the celebration virtually. To help make this possible Disney has launched a special website where fans can record videos of themselves singing “It’s A Small World.” The special website also has a feature which allows fans to create virtual “It’s A Small World” dolls that they can in turn share with family and friends via social media. The dolls will benefit United Nations Children’s Fund (UNICEF), an organization that provides health care and immunizations, clean water and sanitation, nutrition, education, emergency relief and much more to children worldwide. The word science comes from the Latin “scientia,” meaning knowledge. A basic dictionary definition of the word “science” is “the intellectual and practical activity encompassing the systematic study of the structure and behavior of the physical and natural world through observation and experiment.” Thus, through observation and experimentation, a scientist is able to acquire knowledge to describe and explain natural phenomena to produce useful models of reality. Using their combined knowledge of raw natural gas, chemists from Brigham Young University (BYU) and the Scripps Research Institute, in the March 14 issue of Science magazine, identified a process that could be the answer to the current energy problem in the United States. Through observation and experimentation they have discovered a new way to turn raw natural gas into an upgraded liquid alcohol fuel, thus reducing the dependence on petroleum as a base for fuel. The researchers used different fields of science to understand how and why this process, which eliminates an entire step in the production of fuel, works. 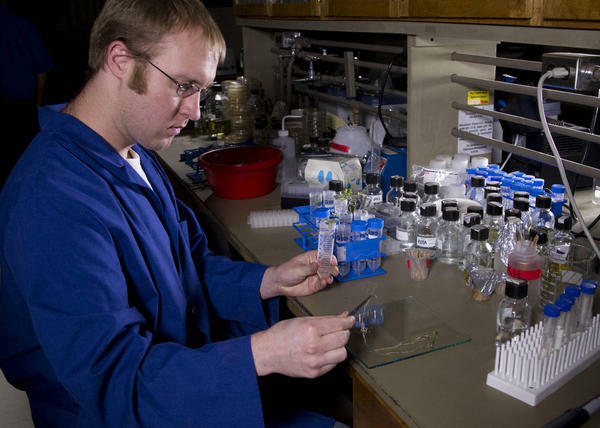 For example, BYU professor Daniel Ess used chemistry theory to understand how and why the process works at low temperatures under mild conditions. “Hardly anybody actually tries to do reactions on a genuine mixture that you would get from natural gas,” said Ess. “Turns out we can just directly use the mixture of what comes out of natural gas and convert all three of them together.”  Ess also commented that the potential benefits of the new process aren’t limited solely to the production of fuel, but other chemicals derived from natural gas such as methanol are important in manufacturing. No matter how the pie is sliced, the new process cuts down on energy usage. In the realm of social science, a team of BYU researchers are continuing their studies of the genes that may be the cause of placing people at high risk of developing Alzheimer’s disease. Since 2009, BYU researchers have co-authored the publication of 22 new Alzheimer’s risk gene studies, and recently they have discovered gene variations that could possibly double the risk of developing Alzheimer’s later in life. The research is led by Washington University School of Medicine at St. Louis, Missouri. It was published online in the scientific journal, Nature, on 11 December 2013. The authors of the study are Biology professors John Kauwe and Perry Ridge, and BYU post-baccalaureate Maegan Leary. Cameron Schmutz, an undergraduate, is the co-author of the study. Using a clever approach for identifying rare mutations, the investigators focused on families with several members who had Alzheimer’s. The team sequenced genes from several individuals in 14 families, some of which had Alzheimer’s and some who did not. Alison Goate, a co-author from Washington University, stated that by studying gene variants within families, the team is able to narrow down the number of variants that may actually be the cause of the disorder, whereas, if they had tested unrelated individuals, the statistical analysis would have been skewed and they would not have been able to identify these rare variants. To complete the study, “researchers used a process called whole exome sequencing to identify mutations in a gene never before linked to Alzheimer’s disease then used other technologies to sequence those variants in additional samples.”  Much of that work took place on the BYU campus where undergraduate, Cameron Schmutz, tested and analyzed over 5,000 DNA samples. There are many different areas of science that are open for exploration. As scientists continue to apply their knowledge and scientific methods in investigating matters of science, whether in the natural or social realm, more and more breakthroughs will be made through their deductive observations and reasoning. When you take a look at the Olympic athletes, you see many–if not most–who have trained since early adolescence at the least. Late-coming athletes are rare in the Olympic village. Eric Neilson, however, defied the norm and represented Canada in skeleton even though he started training in the sport when he was already 25 years old. 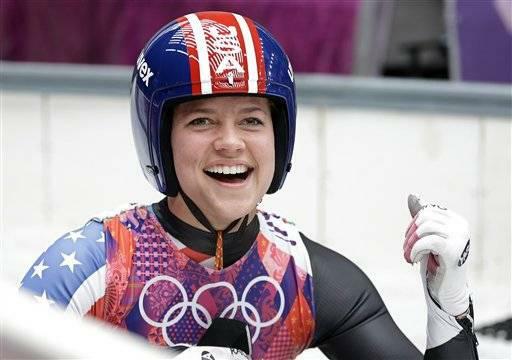 Kate Hansen came in tenth place in luge at the 2014 Winter Olympics in Sochi, Russia. Among Olympians that’s nothing to brag about–but people are still talking about Kate. Why? Kate Hansen has turned out to be not only a remarkable luger who made it to compete in the Olympics, but she also has a happy and fun-loving spirit that helps keep the other Olympians thinking positive. Jessika Jenson hails from Rigby, Idaho, and grew up snowboarding as well as dirt biking, wakeboarding, and mountain biking. Snowboarding, though, is her specialty. 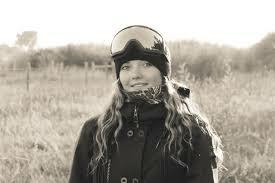 Jessika first started snow sports skiing at a local resort and switched to snowboarding when she was only 10 years old. Since then she took her training into her own hands and entered every open competition she could. She started competing when she was 14 and found open competitions at local resorts like Kelly Canyon and Grand Targhee. Jessika’s talent made her a notable contender, and she quickly rose in the rankings.